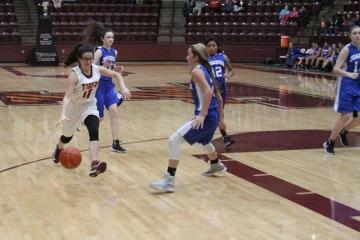 The Tenaha Tigers Varsity Basketball Team won 76-62 vs. the Chireno Owls making their season record now 6-0. The basketball game vs Center that was scheduled for Jan 3 has been changed to Monday, Jan 2. We will play 3 games starting at 3pm. I would like to apologize for any inconvenience and would like to say thank you in advance. Christmas In Disneyland - Timpson Elementary School staff and students presented its annual Christmas play. The name of the play this year written by Mrs. Tammy Sparks was titled Christmas in Disneyland. We appreciate the staff and students who worked so hard to make this play such a great success. We also appreciate all the parents and community who attended the play making it a packed house for the performance! Photos are attached. *****************JVG/VG vs Chireno Home today 5:00 pm in the SEC-Go Lady Tigers!! *****Tuesday, December 20th , 2016 is an early release @ 11:30 am for all our students. As we enter the holiday, we want to remind everyone that Holiday Hoops begins December 28th. We invite each of you to come enjoy numerous basketball contest among many fine teams from near and far. Our Famous Tiger Café’ will again be open to serve their renowned lunches and dinners. Lunch begins at 11:00 am and Dinner begins at 4:45 pm. 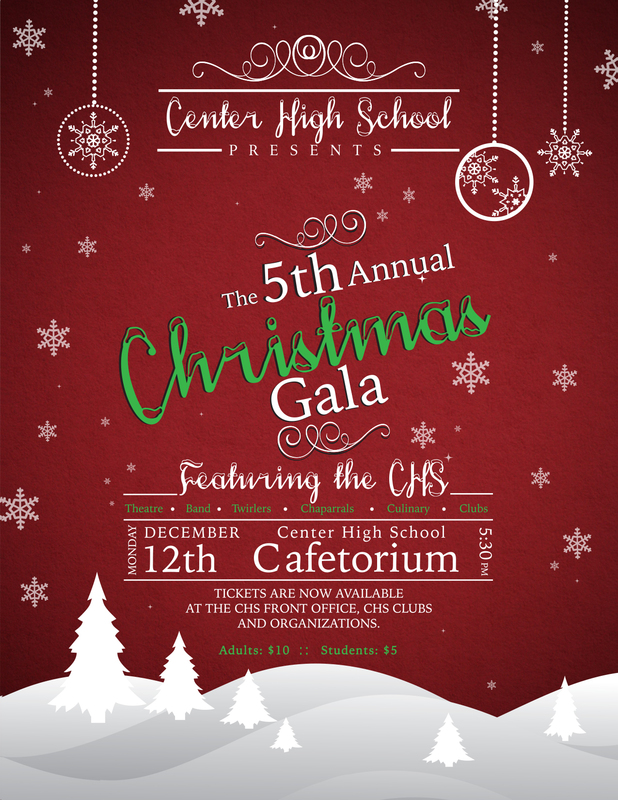 The concession stand will be open as well. So, come see us you won’t regret it!!!! Impromptu Comedy and First Place, Karyme Arcibar, singing 'Hallelujah'. 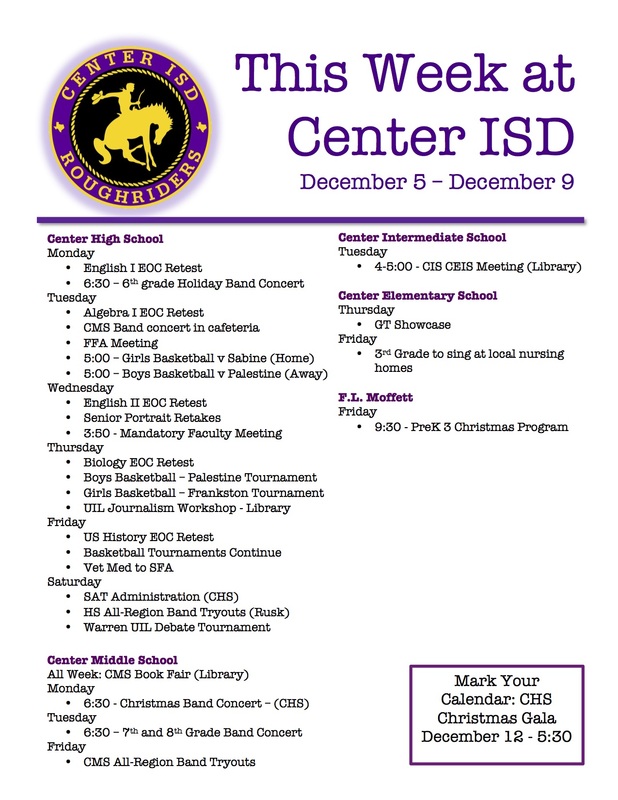 A regular meeting of the Board of Trustees of Center Independent School District (CISD) was held on Thursday, December 15, 2016 beginning at 12:00 a.m. at Center High School Library located at 658 Roughrider Drive in Center, Texas 75935. John Henry Holloway gave the invocation and Whitlee Reed led the Pledges of Allegiance. Matt Gregory introduced the coaches as they presented the CHS students and their achievements beyond District competition. The programs recognized: Agriculture, Band, Cross Country (boys and girls), FFA, Football and Tennis (boys and girls). Tina Byrnes, Director of Dining Services for Center ISD was presented the “Most Improved District” award for 2015-2016 school year. 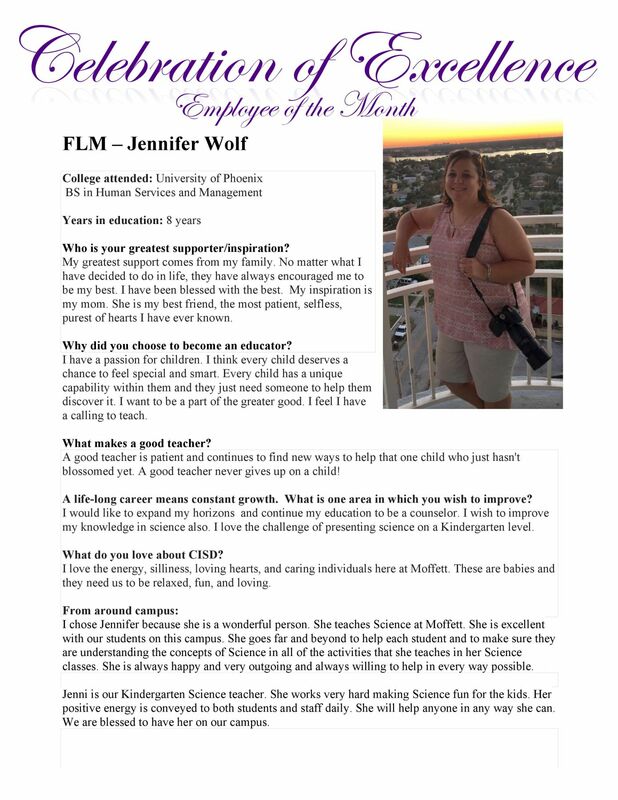 The acknowledgment and trophy were given to her during the during the Southwest Foodservice Excellence winter meetings. A motion was made by John Henry Holloway, seconded by Traci Willoughby to approve the consent agenda consisting of the minutes from the regular meeting on November 17, 2016, special meeting on December 5, 2016, Investment Report (November 2016); Annual Investment Report (Year Ending August 2016); Tax Collection Report (November 2016); Financial Reports (November 2016); payment approvals over $50,000 and Overnight Student Activity Trips. A motion was made by Traci Willoughby, seconded by Matthew Mettauer to approve the sale of property located at 108 Barbara Street in Center, Texas due to the non-payment of taxes in the amount of $2,000.00 to Ms. Mary Louise Wall. The Board discussed the Texas Academic Performance Report for 2015-2016. The 2016 accountability rating for Center ISD is Met Standard. There is noted improvement in 8th grade science and social studies. Much work remains. Clearly established performance objectives are in place in an effort to improve literacy and academic achievement. Dr. Hockenberry presented information regarding the new indicators for the A-F Academic Accountability System, which will be in effect beginning 2017-2018 school year. James Greer called for a closed session at 12:43 p.m. under Texas Government Code §551.071, §551.074 and §551.129 for consideration of employment of contracted personnel, resignation/retirement, extended emergency sick leave and private consultation with the Board’s Attorney. The Board returned into open session at 1:27 p.m. No action was taken in closed session. 13.1.1 A motion was made by Traci Willoughby, seconded by John Henry Holloway t to approve the employment of contracted personnel as recommended by Superintendent Hockenberry. 13.1.2 A motion was made by Traci Willoughby, seconded by John Henry Holloway to accept the resignations/retirements as recommended by Superintendent Hockenberry. There was no action to be taken regarding private consultation with the Board’s attorney. A motion was made by John Henry Holloway, seconded by Traci Willoughby to adjourn the meeting at 1:28 p.m.
able to pursue in high school. 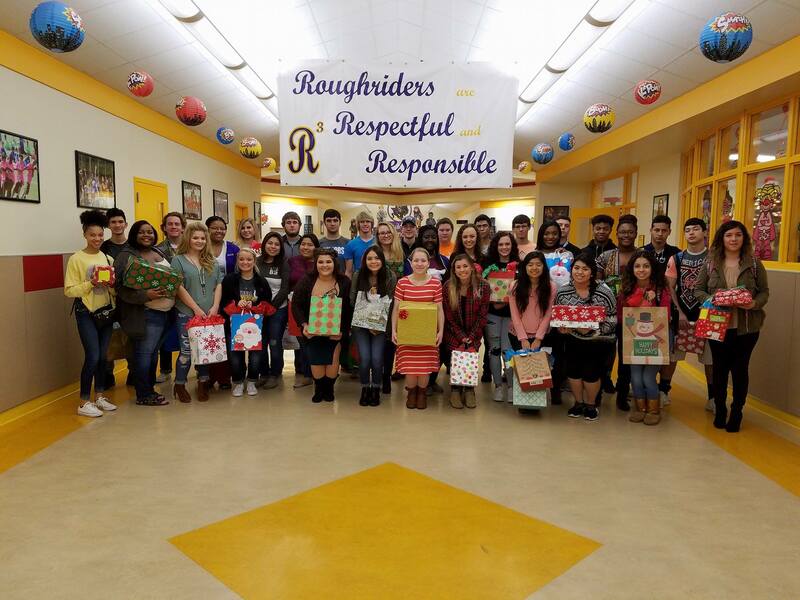 tasks to students, who each chose an anonymous child to buy gifts for. 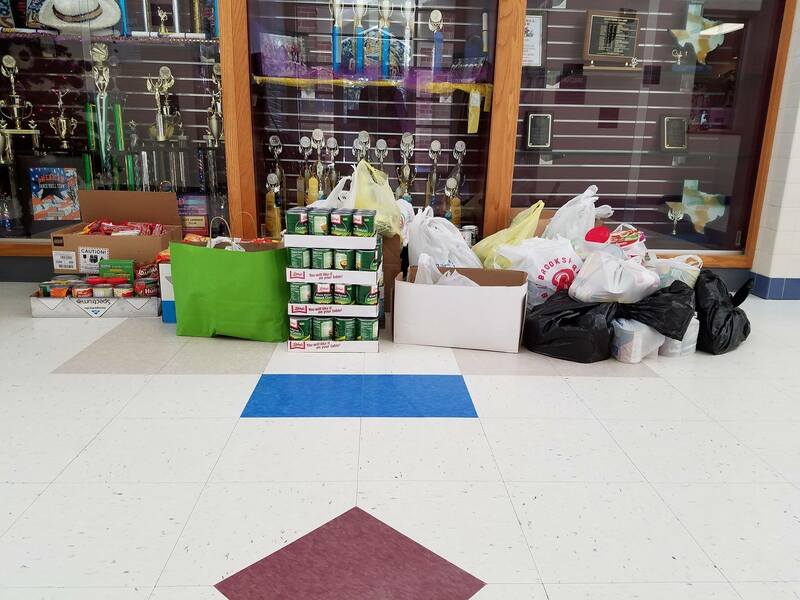 Since its beginning, the Angel Tree has expanded greatly. The children’s requests for Christmas gifts have been very humble. 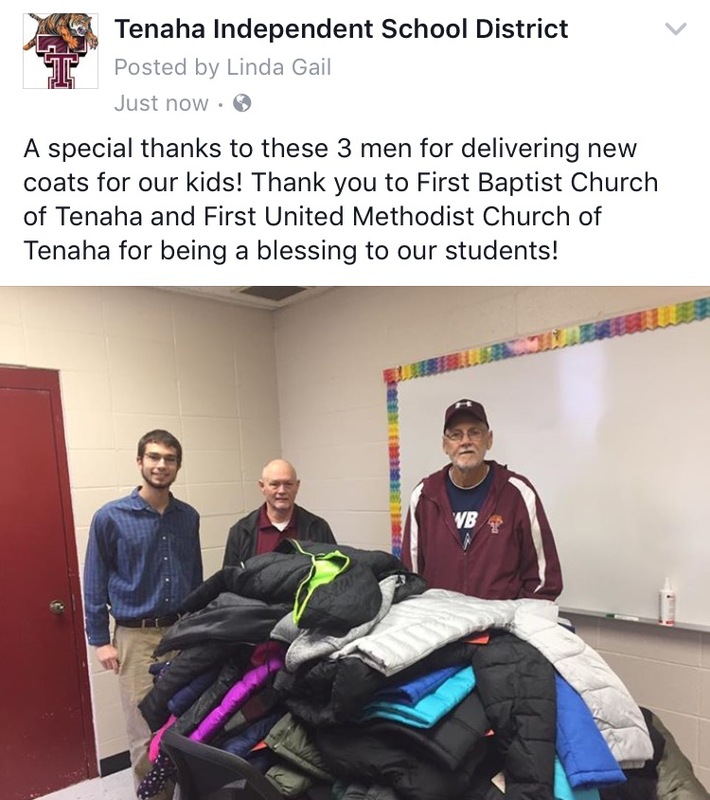 lists of anonymous children to teachers and students willing to help. Few changes are expected to be implemented in the future. 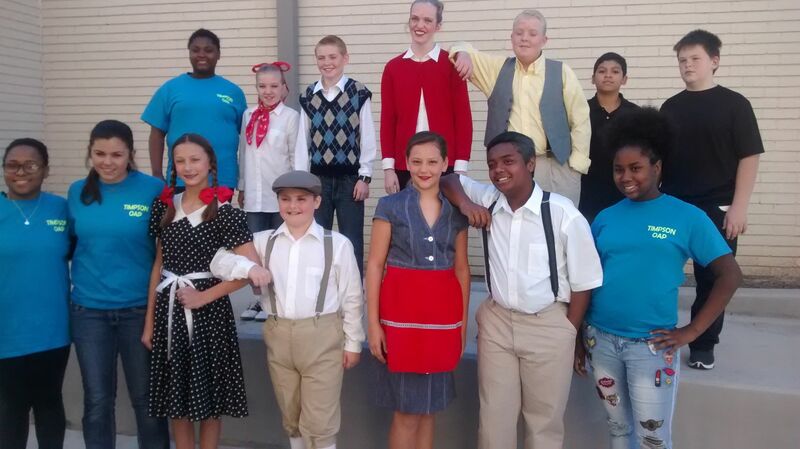 TMS Academic UIL Results - Timpson Middle School students recently competed in the UIL Academic meet held in Joaquin. The one act play received second place. Attached is a list of students who placed in the competition. Congratulations to all students who competed in these events. 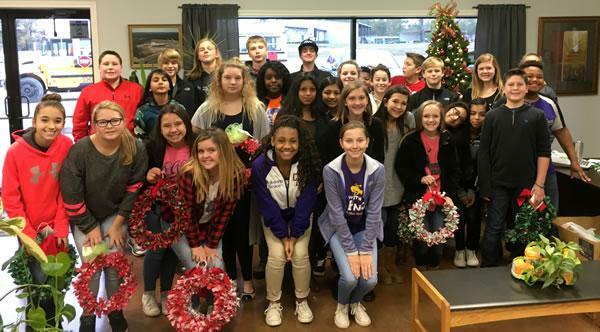 Collegiate Center News – Mike Tucker representing Eastman Chemical Company in Longview, Texas talked to Timpson students in grades 8-12 about future employment opportunities at the company. He invited students who are interested in employment to tour the plant. A student tour is planned for December 28th. Mr. Tucker stressed the importance of college degrees for some positions but have other positions that do not require college degrees that start out at $27.00 to $33.00 an hour. Intern positions are offered to students in the summer that pay $23.00 per hour. Mr. Tucker said he was quite impressed with the way Timpson students conducted themselves during the presentation and looks forward to developing a close collaboration with Timpson ISD to help meet future employment and intern opportunities. football game vs. Kilgore. Parks was the Class 4-A recipient for Week 10. Connor Timmons’ ranking qualified him for the Area competition. On January 7 he will go to Chapel Hill and audition for the ATSSB All-State Band. 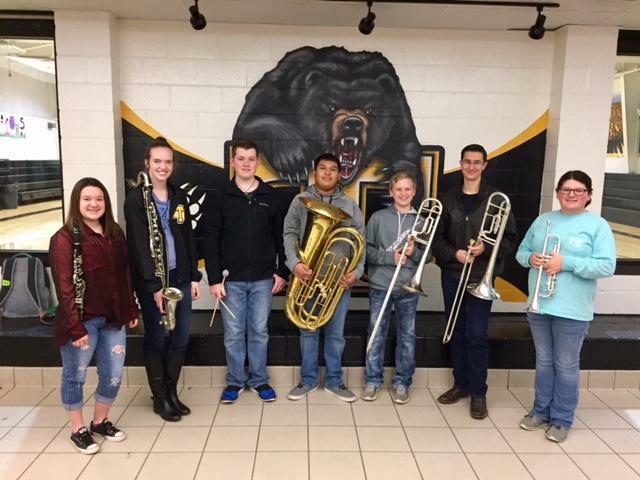 Congratulations to all of these fine Timpson Band students. 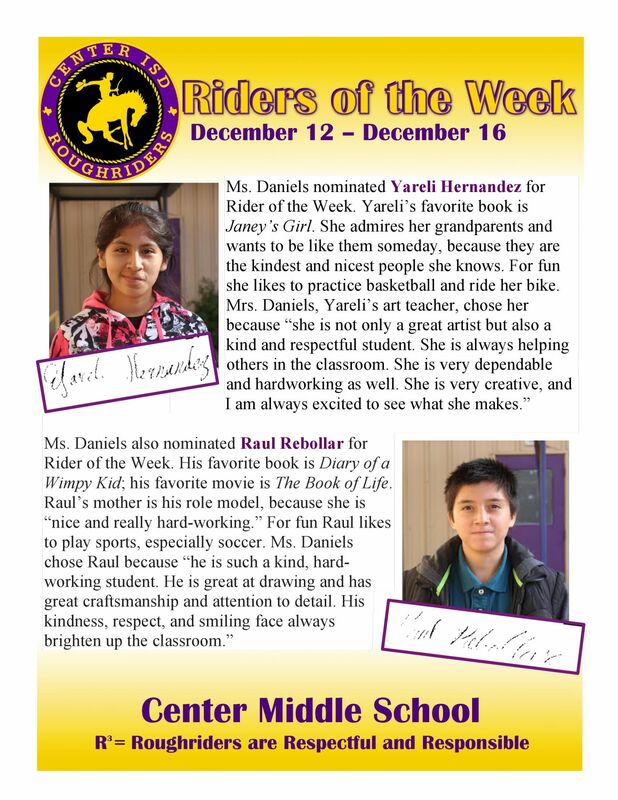 We are VERY proud of you and thank you for your hard work! Board members absent: Bill Mason, Jr.
Chrisco Bragg, President, called the meeting to order at 6:02 p.m. Pledge of Allegiance to the Texas Flag was led by Jeff Cater. 5.1 It was moved by Ronnie Belrose, and seconded by Tam Hearnsberger, to approve minutes (attached). 5.2 It was moved by Jeff Cater, and seconded by Tam Hearnsberger, to approve Joaquin ISD appraisers for 2016-17. (attached). Following discussion, a vote was taken on the motion. It carried unanimously. corrections. Following discussion, a vote was taken on the motion. It carried unanimously. 5.4 It was moved by Thomas Harvey, and seconded by Jeff Cater, to approve the Board Resolution calling on the Texas Legislature to remove the unfair penalty for small schools with less than 300 square miles. Following discussion, a vote was taken on the motion. It carried unanimously. 5.5 It was moved by Tam Hearnsberger, and seconded by Jeff Cater, to approve the Board Resolution to join a coalition of Texas School District that will petition the Texas Legislature to fund a Texas Education Code provision that allows the Texas Education Commissioner to adjust the taxable value of property in a School District that experiences a rapid decline in taxable property value. Following discussion, a vote was taken on the motion. It carried unanimously. 6. Chrisco Bragg, Board President, ask for items to be placed on the next board agenda. 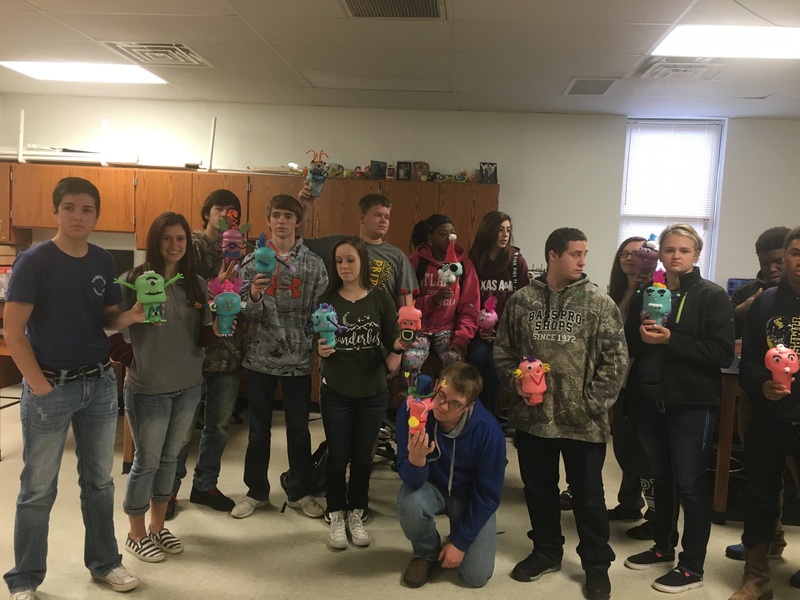 Tuesday, January 16, 2017, at 6:00 p.m.
8 With no further business on the agenda the meeting was adjourn at 8:02 p.m.
THS Science News - Ms. Cindy Sessions Timpson High School chemistry made Foam Gnomes this week as a lab engagement. This represents an exothermic reaction demonstrating physical and chemical changes. Photo is attached. 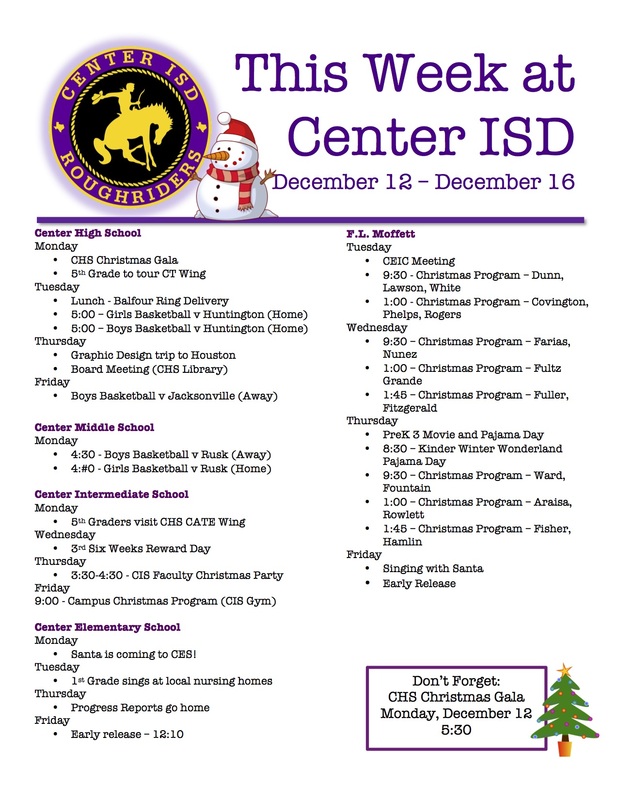 A Regular Meeting of the Board of Trustees of Center ISD will be held December 15, 2016, beginning at 12:00 PM in the Center Independent School District Administration Boardroom 107 PR 605 Center, TX 75935. 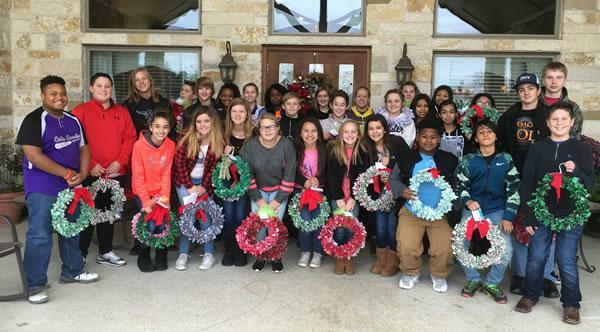 CMS Junior BETA Club members created several Christmas wreaths in the past several days as a community service project, so that Christmas Cheer could be spread to CISD Transportation Department, CISD Administration, and Lakeside Assisted Living. 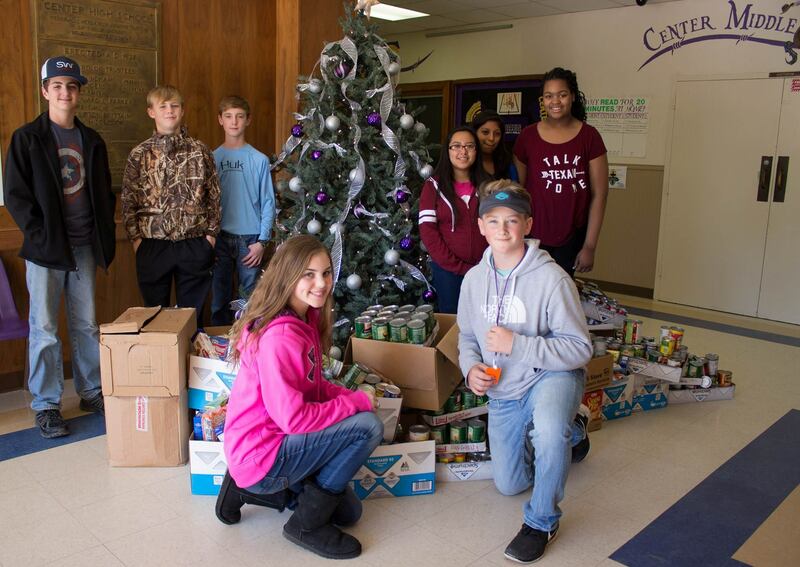 Students shown as they arrived to deliver wreaths are: Cale Henson, Bri Jones, Avery Snell, Bali Proffit, Deal Lester, Alyssa White, Karan Randhawa, Emilee Elliott, Victoria Lee, Josh Stephenson, Mia Mahan, Alex Spruiell, Stephanie Garcie, Kennedy Bush, Chloe Eaves, Sarah Scull, Jase Bird, Connor Henson, Nolan Spann, Kamren Henry, Yahira Castillo, JC Watlington, Paris Bryant, Demerus Berry, Makenna Gipson, TJ Bolton, Maria Alvarado, Elizabeth Bustos, Kaleigh Pratt, Brayden Britt, Lesly Figeroa, Ali Stuever, Seth Shamblin, Kristen Orsak, Norma Gomez, Skylar Causey, and Hunter Rowland. 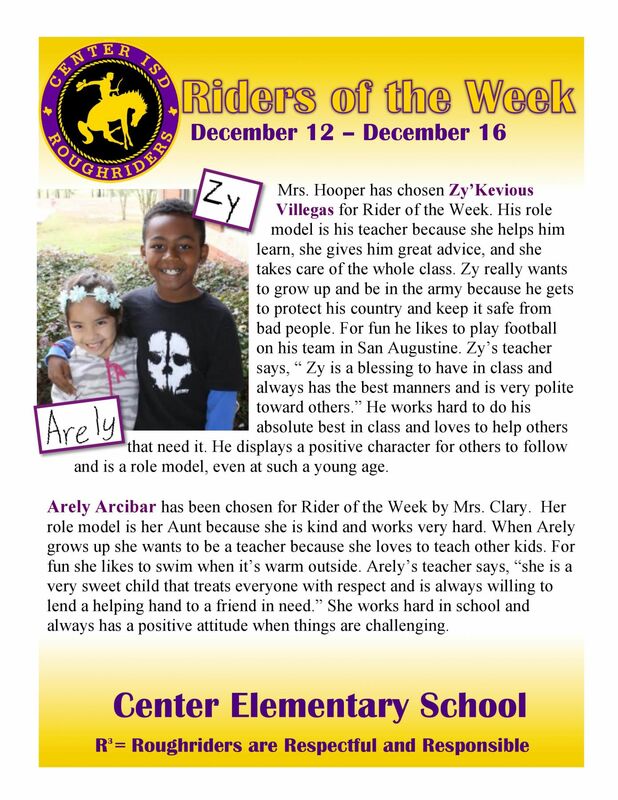 The Center Roughriders basketball team has a home game vs. Huntington today @ 7:30p. The Shelbyville Dragons basketball team has a home game vs. Garrison today @ 7p. 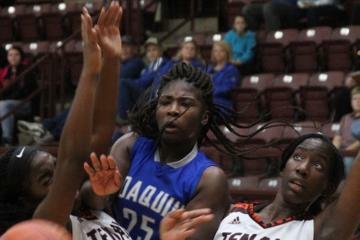 The Tenaha Tigers basketball team has an away game @ Gary today @ 7p. 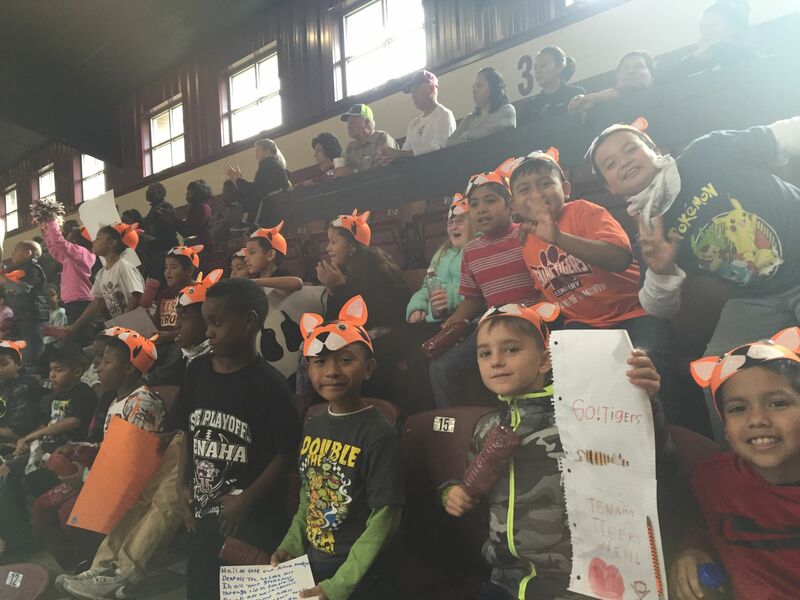 The Timpson Bears basketball team has an away game @ Carlisle today @ 6:30p. The San Augustine Wolves basketball team has an away game @ Laneville today. Mon. Dec. 12 - TMS Basketball vs. Tenaha – Here @ 4:30 p.m.
---------------------- Varsity Lady Bears Basketball vs. Chireno – Here JVG/VG @ 5:00 p.m.
---------------------- Varsity Bears Basketball vs. Carlisle – There JVB/VB @ 4:00 p.m.
Fri. Dec. 16 – TES Christmas Program in high School auditorium @ 9:00 a.m.
----------------------- TES Christmas parties @ 2:30 p.m.
----------------------- Early Release 2:45 p.m.
Football All District Team - The All district 11 2A football team has been announced. Congratulations to the Timpson High School players that made the team. THS Students Complete CNA Course – Five Timpson High School students recently completed a course of study to become certified nurse assistants. Taking and passing the state license exam is a requirement. The district paid for this course of study for the students as part of the Collegiate Center program. The goal of the Collegiate Center is to offer every Timpson High School student the opportunity to receive an associate’s degree, certificate or certification before high school graduation. 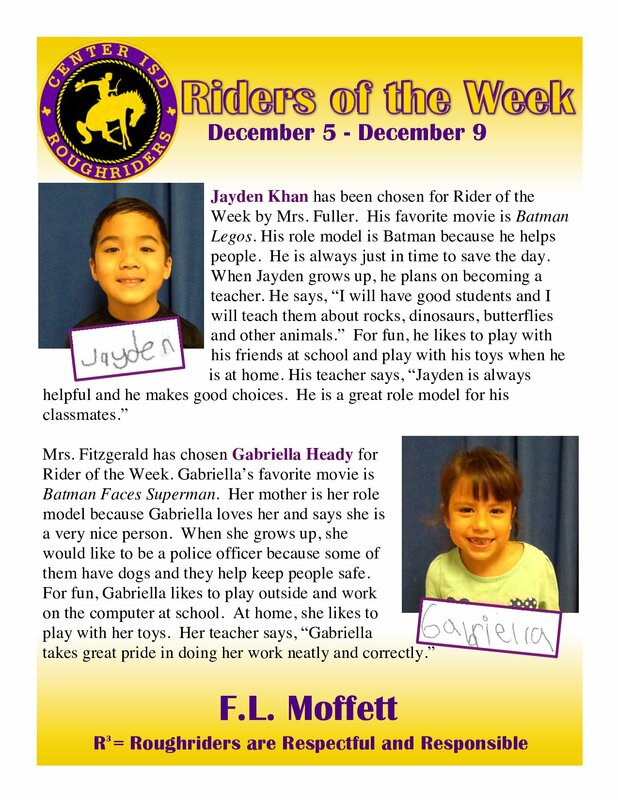 TES Pre-K Newsletter - Attached is the Timpson Elementary School Pre-K newsletter. Polar Express – Timpson Elementary school second graders visited the Polar Express in the library last week. Wearing their pajamas, students had a ticket that was punched by conductor Fred Wilcox to board the Polar Express where they enjoyed refreshments and watched the Polar Express movie. Photos showing all the fun are attached. chased down a season high 59 rebounds. Notice is hereby given that on the 12th day of December, 2016 the Board of Trustees of the Joaquin School District will hold a regular meeting at 6:00 p.m., at the Administration building, Joaquin, Texas. (b) at a subsequent public meeting of the School Board upon notice thereof; as the School Board shall determine. Joaquin ISD – Monday, January 16, 2017, at 6:00 p.m.
On this 9th day of December, 2016, this Notice was mailed to news media that had previously requested such Notice and an original copy was posted on the bulletin board outside the School District Administration Building at 1:00 p.m. on said date. 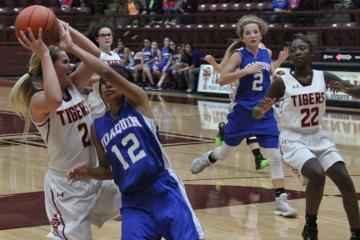 Tenaha High Schools’ SEC - On Tuesday night the Joaquin Lady Rams traveled west on Highway 84 to take on neighboring Tenaha High School’s Lady Tigers in each varsity basketball team’s first District 22 2A contest of the season. The Lady Tigers’, coached by Gary Davison, came in with a 3-0 pre-district record and are currently the state’s #1 ranked program. The Lady Rams, coached by Carrie Obregon, came into the contest with an unblemished 7-0 record. The evening’s event started with junior varsity action. 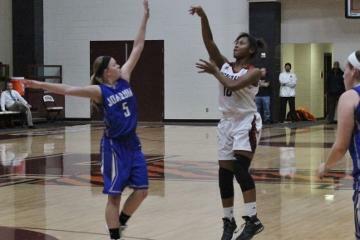 The Lady Tigers pulled away from Joaquin and built a 32-10 lead by the end of the third quarter. By midway of the final period the THS JV had ballooned their lead up to 42-14. The game ended will the Lady Tigers gaining an impressive 46-18 win. The varsity game started out defensive and Joaquin struck first when Day’za Lane scored on a backdoor pass which put the Lady Rams up 2-0 with 6:12 left in the first stanza. Tenaha held Joaquin scoreless for the remainder of the period while gaining scores from Lady Tigers Shayla Parks, Calicia Roland, Brooke McClure, Bianca Davison, and Arlicia Roland. Tenaha took an 11-2 advantage into the second stanza. The Lady Tigers were able to again out-score Joaquin again in the second period, by an 11-5 advantage, giving themselves a 22-7 lead at the halftime intermission. Eboni Adams and Hana Bonner each scored four points for the Lady Rams during the third period but Tenahas, Davison got hot and scored 11 points during the frame. 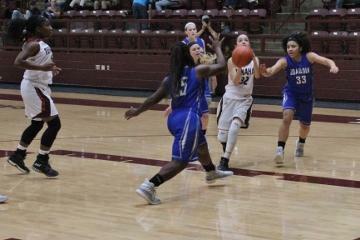 This helped THS get a 15-8 scoring advantage during the frame. Tenaha led 37-15 going into the final period of play. Joaquins’ Desere’ Cooper scored 3-points, after sinking an and-1 free throw with 5:50 left in the game, to bring JHS to within 37-18. Bonner, Eboni Adams, Eric Davis, and Lane put Joaquin on a scoring run which cut the Lady Tigers lead to 39-26 with three minutes left in the contest. Tenaha was able to stiffen their defense and scored the last five points of the game and they ultimately took away a 44-26 win. Tenaha is now 5-0 and have a 1-0 conference mark. They will play the Lady Wolves, at 5:00 p.m., on Tuesday, December 13, in San Augustine. The Lady Rams are now 7-1, (0-1). They have an away tournament game at Bloomburg High School on Thursday, December 8 at 2:10 pm. TMS Academic UIL Team - Below is the Timpson Middle School Academic UIL team. The teams will compete in the district meet in Joaquin this Tuesday and Thursday Dec. 6 and Dec. 8. Good Luck to all the competitors. TMS One Act Play – The Timpson Middle School One Act play “Why Do We Laugh” placed second in the recent district competition. Individual cast members also received several awards. Congratulations to the entire cast and crew! purchased at the door the night of the program. Doors open at 5:00. The program begins at 5:30. ----------------- Junior High basketball vs. Shelbyville – Home @ 4:30 p.m.
TMS Basketball Games - The Timpson Middle School basketball games scheduled for tonight (12/5) against Shelbyville will be played in this order: 7th girls, 8th girls, 7th boys, 8th boys. The first game will begin at 4:30. The Tenaha Tigers football team lost Friday's neutral playoff game against Bremond by a score of 31-7. The San Augustine Wolves football team lost Friday's neutral playoff game against Carlisle by a score of 28-14. 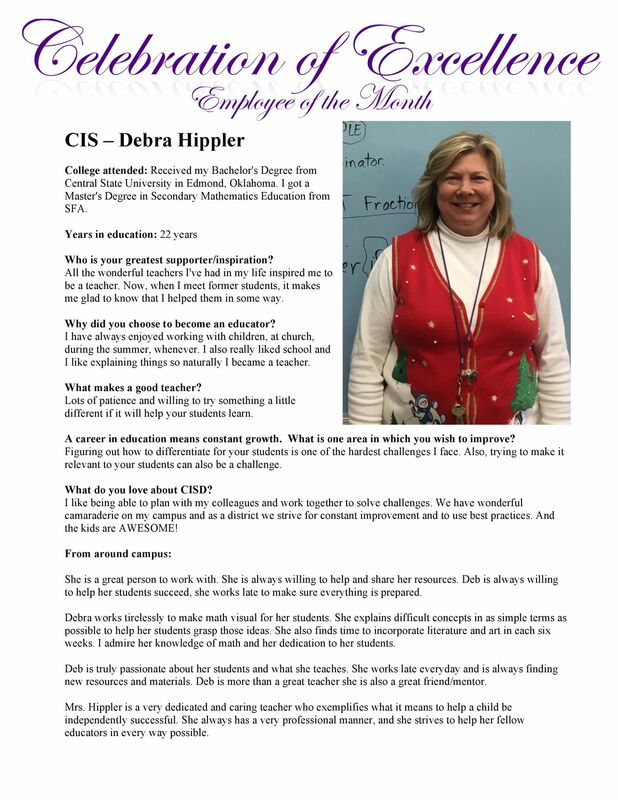 Timpson Collegiate Center News – Staff from Timpson ISD recently met with Cobb-Vantress hatchery manager Tracy Hooper and human resources employment manager Terri Strahan to learn about their employment needs. One of the goals of the TISD Collegiate Center is to provide students with the opportunity to receive training, certification, licenses and associates degrees that would prepare them to be hired locally. Mr. Hooper and Mrs. Strahan also stressed the importance of educating students how to fill out job applications properly, interview skills and appropriate dress for interviews. 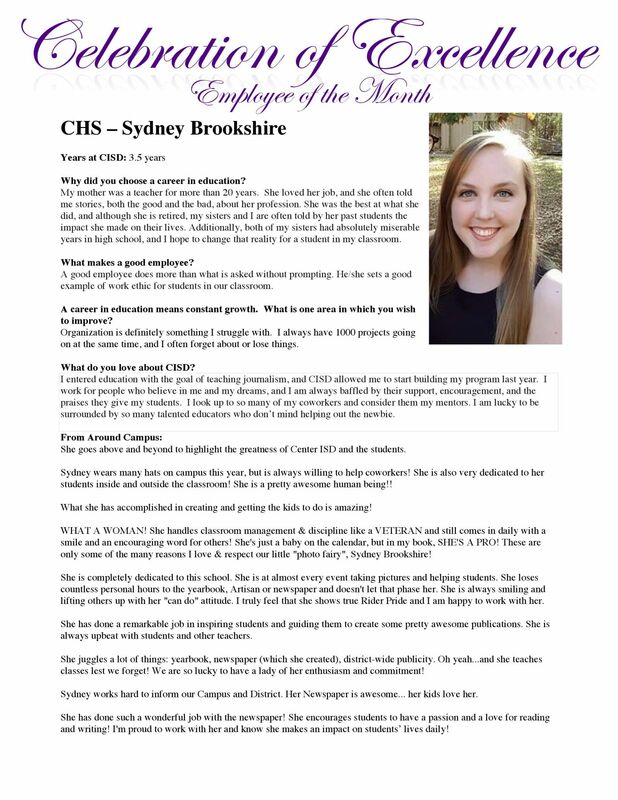 Mrs. Strahan plans to meet with students next semester to provide training that will prepare them for the interview process. The Collegiate Center staff will hold a town meeting January 12 at 5:30 p.m. in the THS auditorium. All business owners, community members and parents are invited to attend to learn more about the Collegiate Center and its many benefits to Timpson ISD students and the community. TES News - Six 5th grade Timpson Elementary School students were honored with a pizza party for lunch on Thursday, November 17th. These students were the only students who scored in top quintiles on their benchmarks. The top two quintiles are equivalents to making an A or a B on the test. 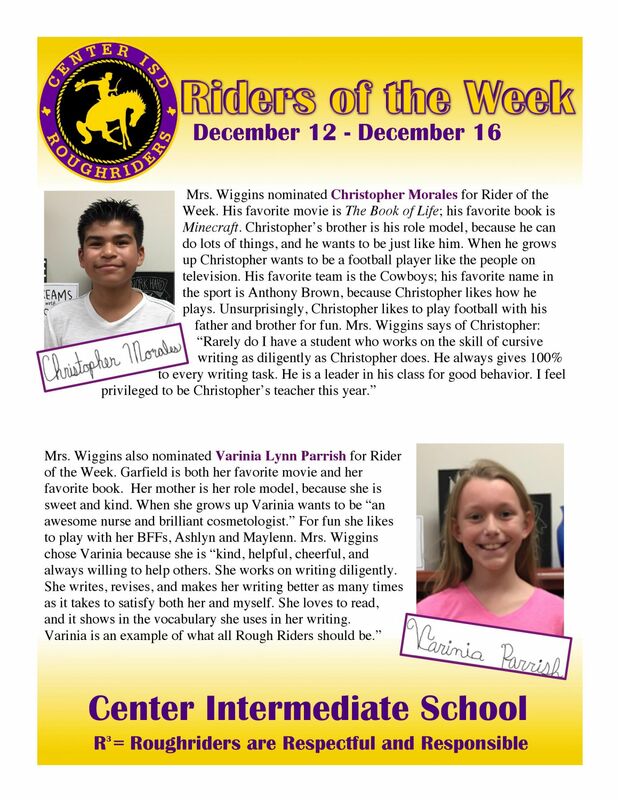 We are very proud of these students and hope to honor more of our students in the future. 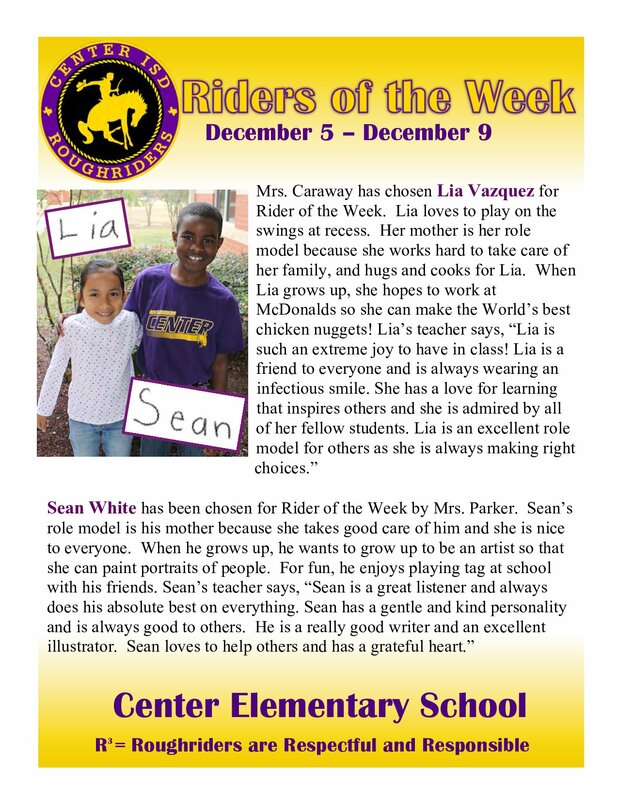 We are always looking for ways to encourage the students and reward them when they put forth their best efforts. Congratulations to Kallie Solomon, Brette Kaite Behrens, Kooper Dawson, Quinn Timmons, Cameron Bennett, and Mackenzie Smith. Timpson FFA Fruit and Meat Fundraiser - Fruit and meat orders will arrive on Tuesday, December 6th. Parents and students may pick up orders from 2:00-6:00 p.m. Timpson FFA would like to thank you for supporting our fundraisers! With the coming Christmas break … have we got a deal for you! If you are looking for a great opportunity for your students and a chance to win weekly prizes – valuing $200 each week – then have your students participate in the Ford Driving Skills for Life online driving academy. Texas high schools will be challenged, and encouraged, to complete the online Ford DSFL Academy between December 5 – 23, 2016. Visit www.drivingskillsforlife.com/TexasFFA<http://campaigns.fourmanfurnace.com/t/r-l-ykahitt-hipukhljr-j/> to learn more about the program and get started. We have a great sponsor in Ford and Texas Ford Dealers. We hope you will encourage your students to participate. Timpson FFA Shelby County Livestock Show Exhibitors!